It’s time to replace your roof system, and you have been looking at your roof, and other roofs in your neighborhood, looking at the different details that make up a roof system. Curious about the differences between the details, you talk with some of your neighbors and learn that each of their roofs functions free of any problems, despite significant differences in the details used. 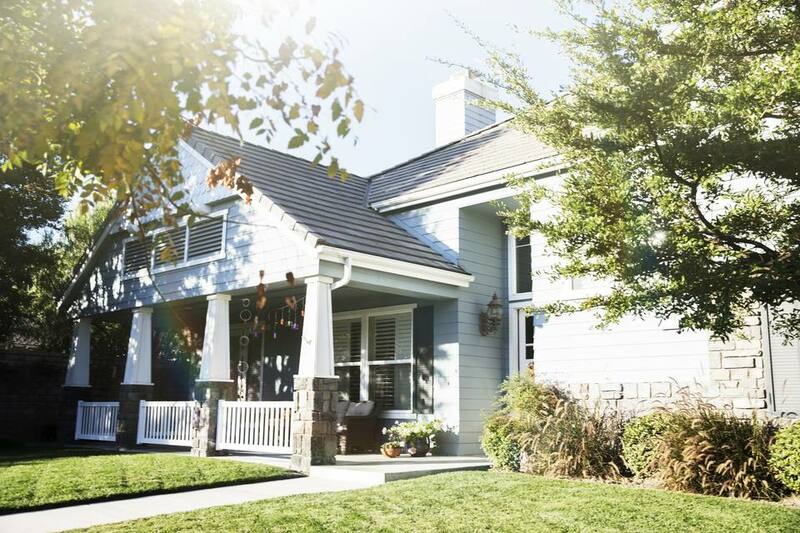 One of the details that varies between homes is the method of flashing the valley areas of the roof—the points where different flat areas meet. As you review the different methods of completing the process of flashing the valley area, you begin to realize that there are two predominant types of methods of sealing the valley areas. These are closed valleys and open valleys. The valley area of a roof represents a very critical detail that handles a tremendous amount of water run-off. It is the match line between two opposing surfaces of the roof system. The opposing surfaces of the roof drain the water towards the valley area, where it is then channeled towards the exterior edge of the roof. What Makes a Valley a Closed Valley? There are two predominant methods for completing the flashing of a valley in a shingle roof system. These methods are to either install a closed valley or an open valley. To understand what makes a valley either closed or open, it is important to understand how a valley is constructed. Before the installation of a shingle roof assembly, the roofing contractor installs an underlayment over the entire roof deck. Incorporated into the underlayment may be a self-adhering ice and water shield or another type of underlayment that is a heavier gauge than the underlayment that covers the remainder of the roof system. This self-adhering underlayment acts as the valley lining. If the valley to be installed is going to be a closed valley, the roofer will install the shingles onto the roof deck and extend the asphalt shingles through the valley so that the shingles cover or “close” the valley area. When finished, the valley will be covered with shingles so that the self-adhering underlayment is completely covered with the asphalt shingles. The asphalt shingles become the valley lining and the wearing surface to protect against water run-off. What Makes a Valley an Open Valley? In comparison to a closed valley, an open valley adds another layer of lining into the valley. After the self-adhering underlayment, such as ice and water shield is installed in the valley, a pre-bent metal valley lining is installed. This valley material can be manufactured from any metal that will resist the effects of weather, acid rain, and other contaminants. As the asphalt shingles are installed over the roof deck, the shingles are extended into the valley. However, these shingles are not run through the valley area. In addition, it is important to avoid nailing the shingles through the valley metal. A chalk line is then used to strike a line from the top of the valley to the bottom of the valley. The shingles are then cut out of the valley area, “opening” the surface of the valley lining to water run-off and the environment. Why Choose Closed Valleys Over Open Valleys? Aesthetics: Contractors, designers, and building owners have preferences as to the appearance of one type of valley over the other. It is important to remember that a closed valley conceals the valley lining and allows the planes of the roof to blend together. Open valleys leave the metal exposed, which may be more pleasing to the eye, especially if copper is used as the valley lining. Cost: Contractors may be able to reduce the cost of materials on roofing projects by eliminating the metal being installed in the valleys. This will reduce the installed cost of the project, especially if there is a significant number of valleys in the roof system being installed. Functionality: Installer's and designer's opinions will differ as to the functionality of closed valleys versus open valleys. Closed valleys may have a tendency, if not constructed properly, to channel water under the shingles laid over the bottom layer of shingles. However, open valleys may be susceptible to water back-up along the top of the cut-off shingles in the valley if not properly trimmed, potentially causing roof leaks. In short, it is recommended that both options be considered when replacing the roof system on your home or building. If you are choosing to complete your roof replacement yourself, make sure that you consider these various factors before beginning your installation. If you have decided to have a professional roofing contractor complete your roof replacement, be sure to discuss with them how they will address the valley detail. Addressing the valley detail before work begins will allow you to consider the possibilities and ultimately get the appearance and functionality you want in your roof system.